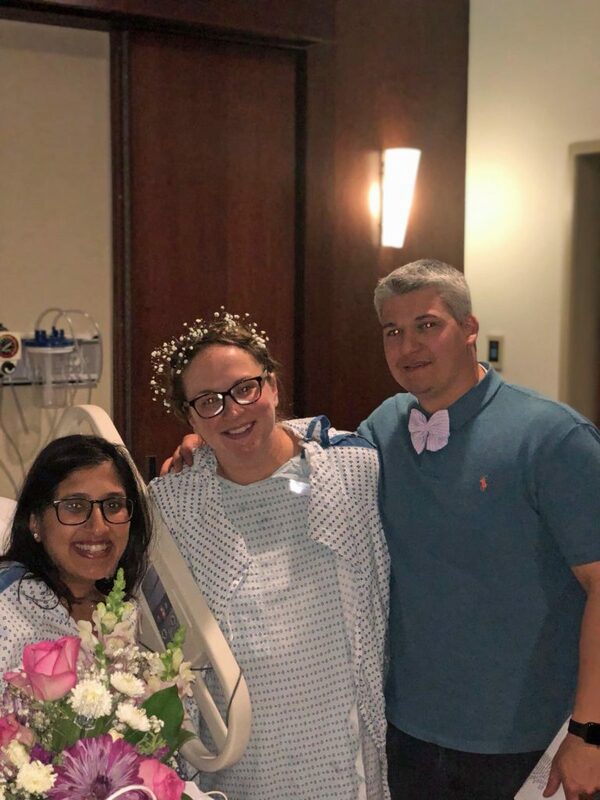 This incredible woman officiated a wedding from her hospital bed for an expectant couple who spontaneously wanted to tie-the-knot – despite having already gone into labour. 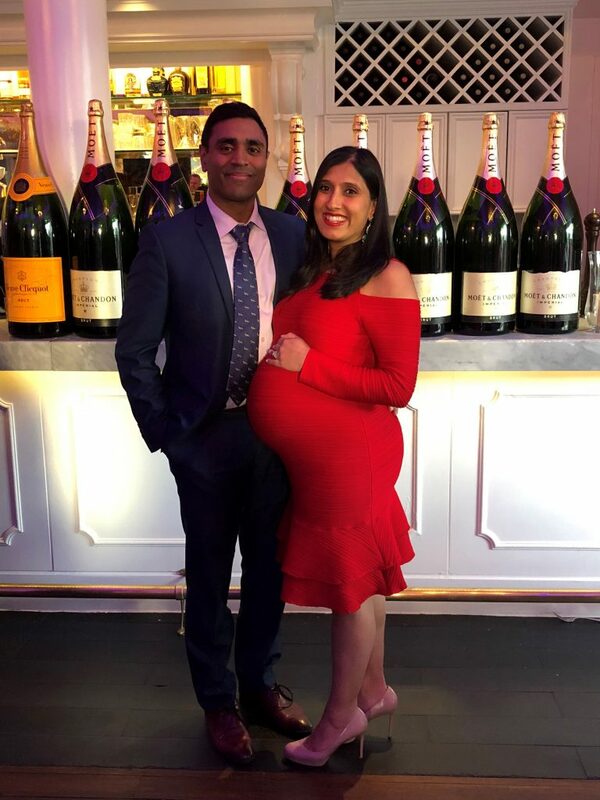 Lying in her hospital bed just hours away from giving birth to her third child, Sushma Dwivedi, 37, overheard a nurse in New York Presbyterian-Weill Cornell Medical Center talk about a couple in an adjacent room desperate to wed right away. Having become an ordained minister in 2014 in the hope of assisting Indian LGBTQ couples to get married, Sushma volunteered her services to her anesthesiologist, despite having just had her epidural administered minutes before. Officiating a wedding for the very first time, couple of ten-years Brianna Doyle and Case Walko excitedly enter Sushma’s ward – with Brianna soon to give birth herself – prompting the make-shift minister to begin her improvised service, in front of a room full of nurses. Quipping ‘with the power invested in me by the internet’, the soon-to-be mum of two solidifies the couple’s bond with the traditional ‘I do’ vows, before the pair locked into a loving embrace to a rapturous applause. Complete with a poetry reading from one of the nurses and even a bouquet toss, no expense was spared by Sushma and the hospital staff, who even helped the bride-to-be get ready. Hoping her act of random kindness will in future years inspire her children to ‘choose love, kindness and empathy’ first, PR executive, Sushma, said: “I was thrilled to be a part of this couple’s wedding. “It was important for me to help them as soon as I heard the story – Brianna’s water had broken unexpectedly and who wants the added stress of trying to get married too? “To me, this felt like a life defining moment to help to show my soon-to-be-born son that whenever he has the opportunity, to choose love, kindness and empathy and to help someone else out, no matter how big or small [the gesture]. “This was a non-traditional wedding, but the room was still filled with so much love. 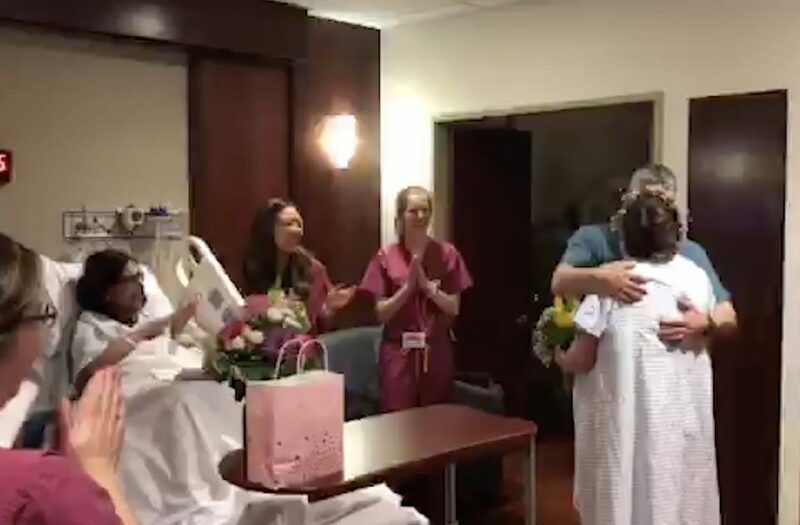 “The hospital staff made Brianna a bouquet, styled her hair and made the room festive – one of the nurses even wrote a poem. 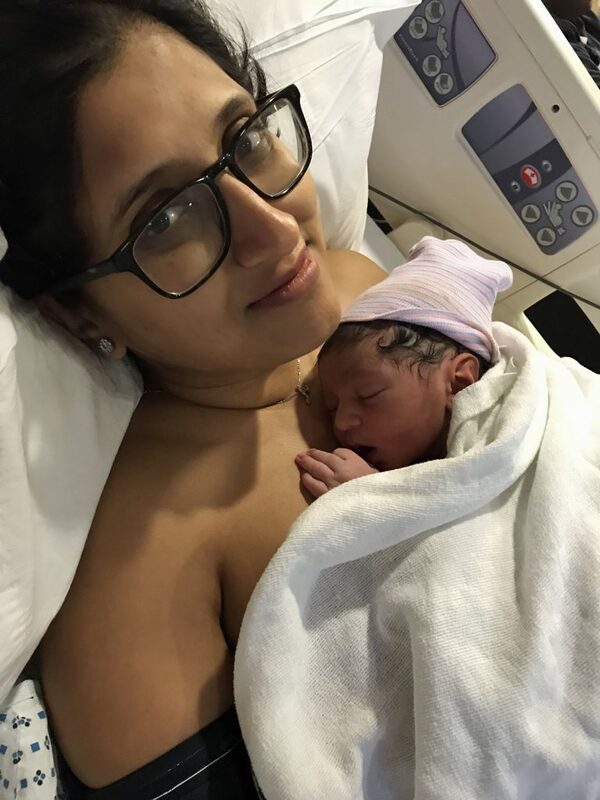 Giving birth to her son, Nayan, just four hours after the service concluded, Sushma was followed shortly after by Brianna, who brought baby girl Riley into the world, two hours later. After joking that their children ‘should date’ in the future, the Walko’s exchanged details with Sushma and her husband Vivek Jindal, with the hope of meeting up in the future. Sushma set up www.purplepunditproject.com in two years ago to assist with Indian weddings for gay couples. She said: “Brianna and Casey were so gracious and appreciative. “The whole experience was totally surreal – I couldn’t have been happier to have been a part of it all. “I gave birth to Nayan four-and-a-half hours later and Brianna followed with Riley just a few hours after. “We’ve been in touch since it all happened, mostly to trade mom tips and chat.